Now that the Galaxy K Zoom and the Galaxy S5 Active are official, it’s the Galaxy S5 Mini’s turn to come out of hiding. If these latest leaks are anything to go by, then the miniature version of the Samsung Galaxy S5 might be worth waiting for. 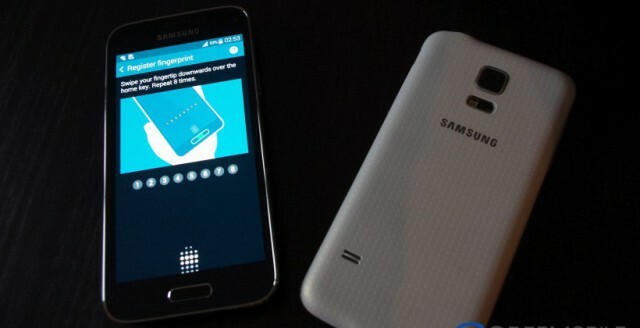 In comparison to the Galaxy S4, the Galaxy S4 mini was a low powered version of Samsung’s flagship. However the latest picture of the Galaxy S5 mini to leak may indicate that Samsung may be including a bit more into the device than expected. 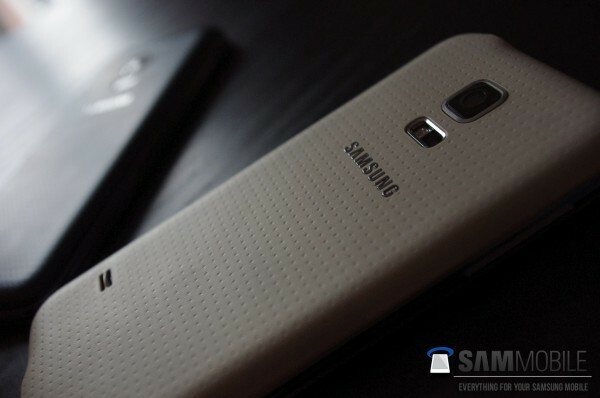 The Galaxy S5 Mini appears to closely resemble the Galaxy S5 right down to the dimpled “band aid” rear cover design. There is a rubber gasket beneath the cover but the micro USB port seems to be missing the the flap which provides the higher water resistant rating. 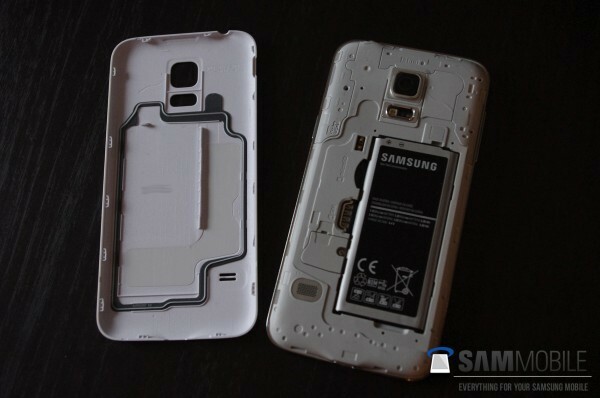 The photos also indicates the presence of a heart rate sensor on the back which was first introduced on the Galaxy S5. The fingerprint scanner also appears to be present which was omitted from the Galaxy S5 Active due to more rugged physical buttons. There is still no official word from Samsung in relation to the Galaxy S5 Mini announcement, but the speed in which Samsung releases devices, it shouldn’t be to far away. What do you reckon Geoff. Will you give touchwiz another try?